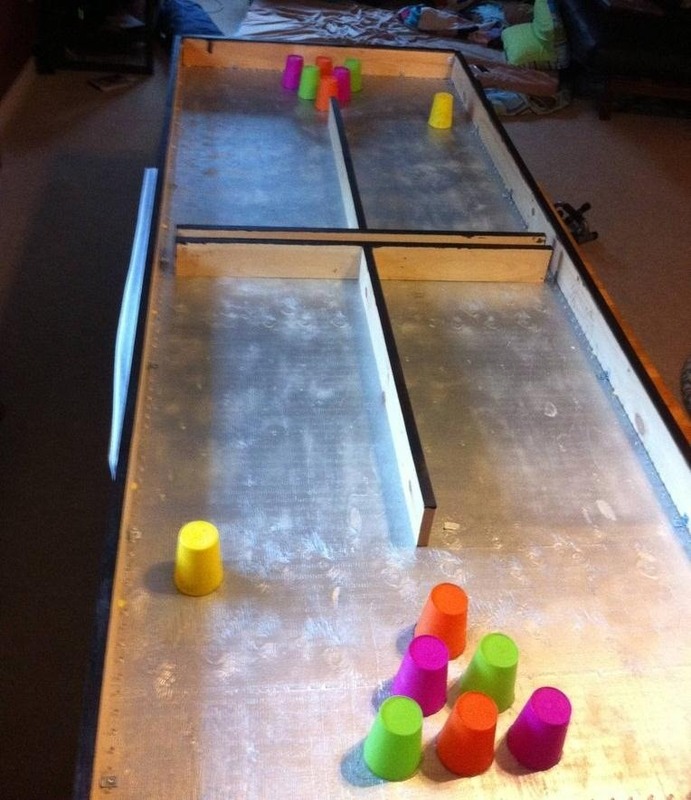 Want to liven up your game of beer pong? 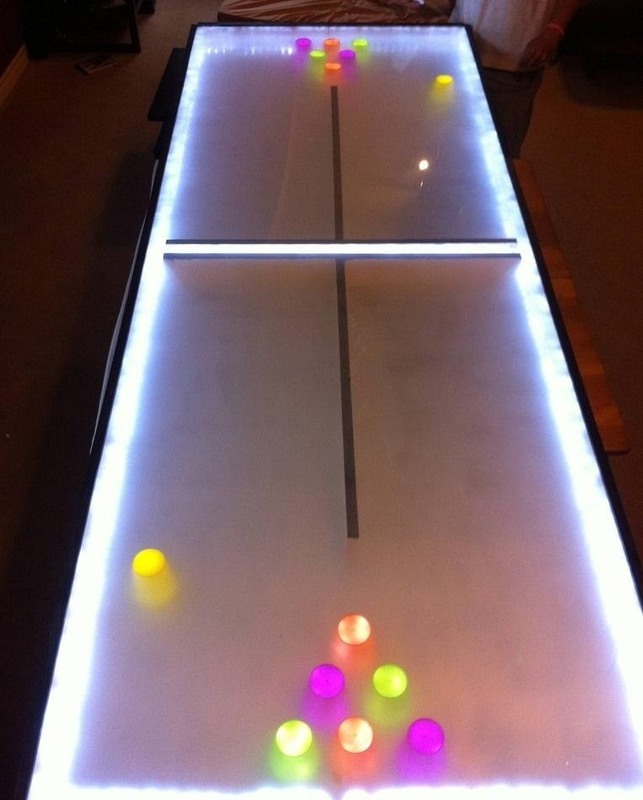 You could always add more cups or play with paddles, or you could make your own custom table with 500 LED lights that flash in sync with your favorite tunes like Redditor did. First come the lights. 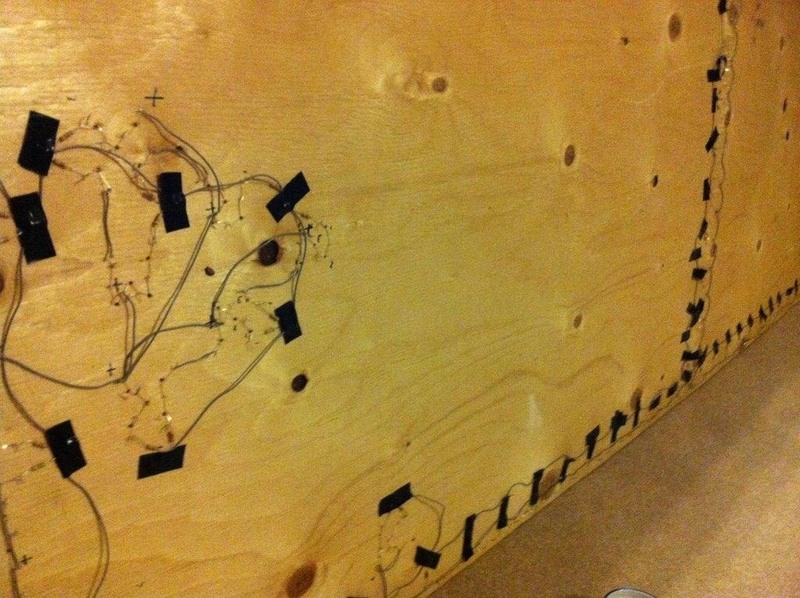 This one was done by hand, but you can use LED tape if you want to make it easier. If you'd rather do it yourself, here's a guide on wiring LEDs and resistors. 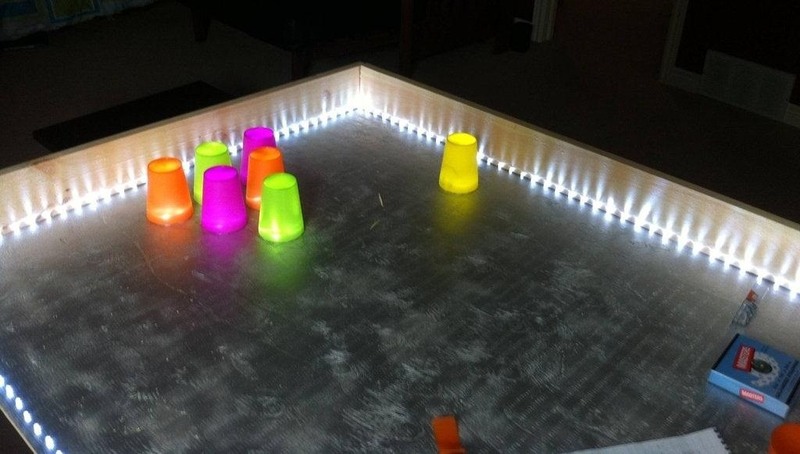 Paint the plywood silver to reflect the light from the LEDs and place plastic cups where they would go during a game. The colors of the cups will tint the light and give it a cool effect. Don't forget the water cup! Screw on the sides and add some supports to the middle. Then glue down the cups. They may need to be trimmed to fit under the plexiglass, so make sure to check the height before you glue. Finally, put on the plexiglass. 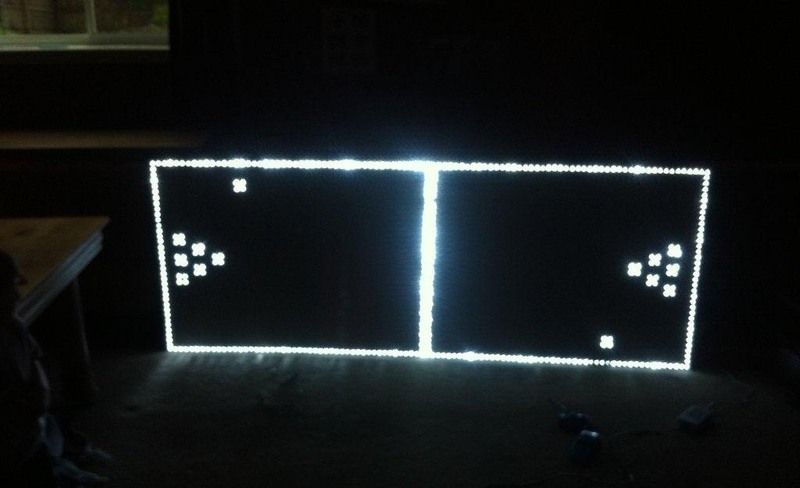 You can sand it on one side to make the LEDs look a little softer and a little less like Christmas lights. 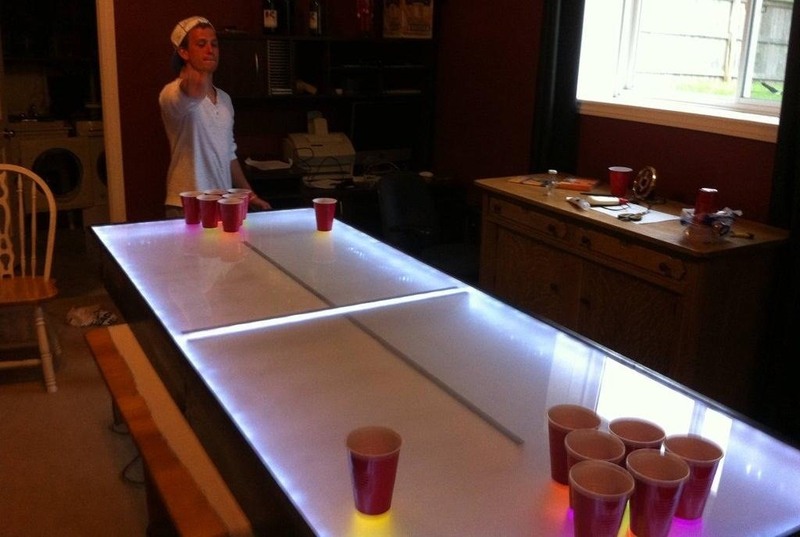 Now all you need is a few friends and you're ready to play. Have a fancy custom-made table of your own? Show us how you made it! How do you get the lights to pulsate with the music?